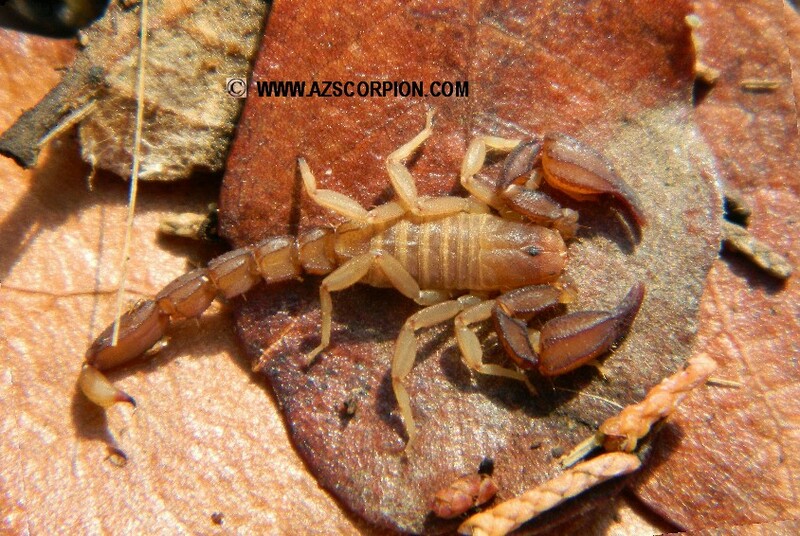 The photo of this new Arizona Scorpion species was taken in Madera Canyon, Santa Rita Mountains near Tucson, Arizona. It is a medium sized male Arizona Scorpion. Found under a rock. This new scorpion species is related to Pseudouroctonus apacheanus found in the Chiricauhua Mountains of southeast Arizona and Pseudouroctonus kremani found in the Santa Catalina Mountains of southern, Arizona. Photographs are by Rich Ayrey, do not reproduce without the written permission of the photographer. This site copyright Rich Ayrey 2015 - 2016. Arizona Scorpion page created 11/30/2015. Arizona Scorpion page last updated 04/30/2016.